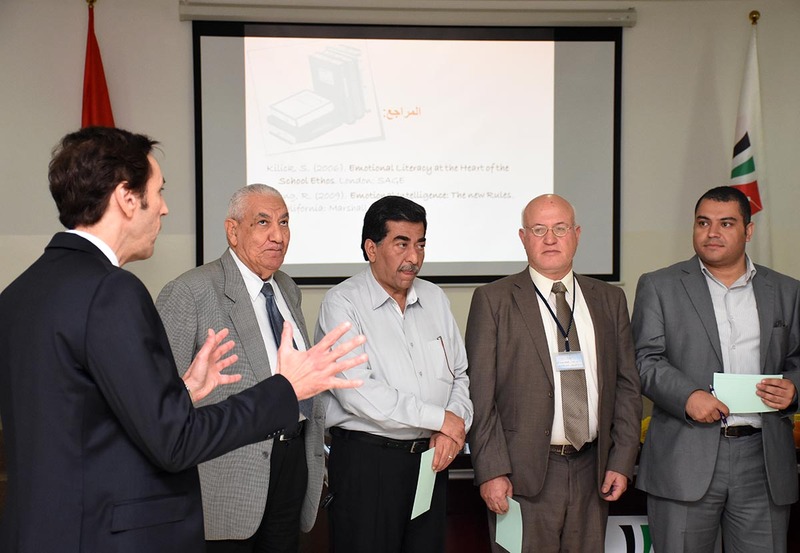 Al Falah University organized a workshop on Wednesday, April 20, 2016 for enhancing teaching quality. 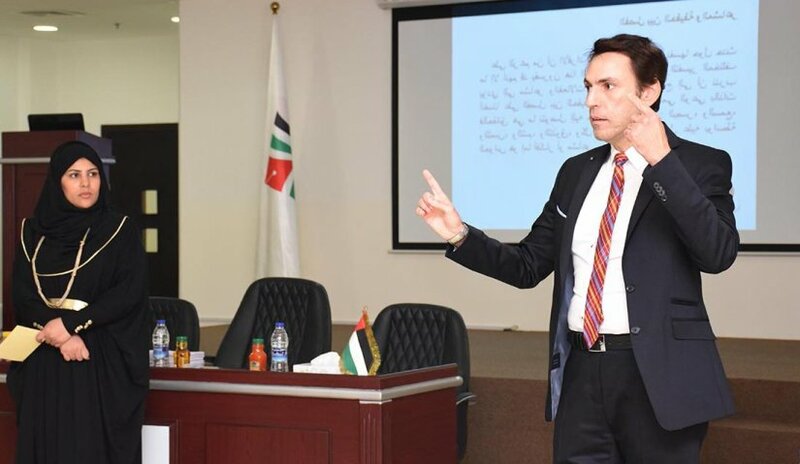 This workshop was attended by a number of counselors and school administrators in the Emirate of Dubai including Al Arqam School, National Charity School, Al Shorouq Private School, Dubai Modern Education School, Sheikh Rashid Bin Saeed Islamic Institute, Dubai Carmel School, and School of Modern Skills. The two-hour workshop was presented by our professional and dedicated faculty member of College of Mass Communication, Dr. Samer Abdul Hadi. The aim of the workshop was to define and layout strategies to develop effective teaching and education system. The goal of the workshop was to draw attention to create the appropriate student educational, psychological and social atmosphere in order to achieve a high degree of social and psychological adaptation in school. It was also intended to modify their behavior in a positive manner and achieve their life ambitions successfully and overcome obstacles that hamper their success. In the end, certificates of appreciation were distributed among the participants for showing a significant positive interaction during the meeting.